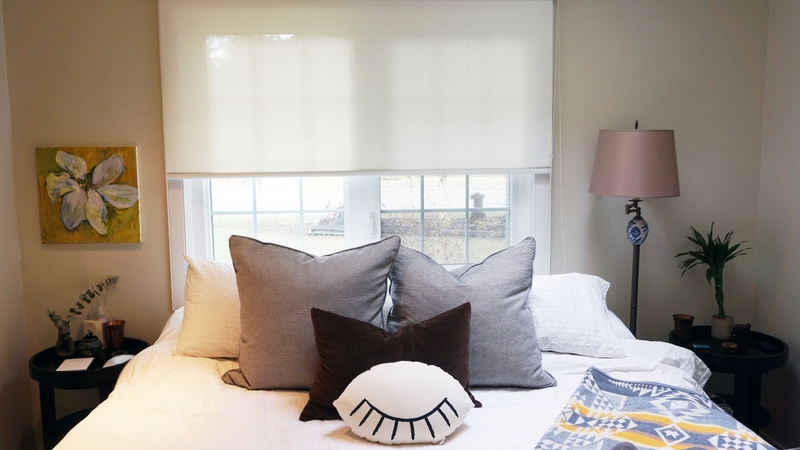 With a love for all things handcrafted, found or thrifted, this couple have carved out a cozy home in Bowness. Both fans of indoor/outdoor living, Myles and Keightley (pictured with their Sphynx cat Jacques who sadly passed away a couple weeks after the interview) enjoy their back deck views. 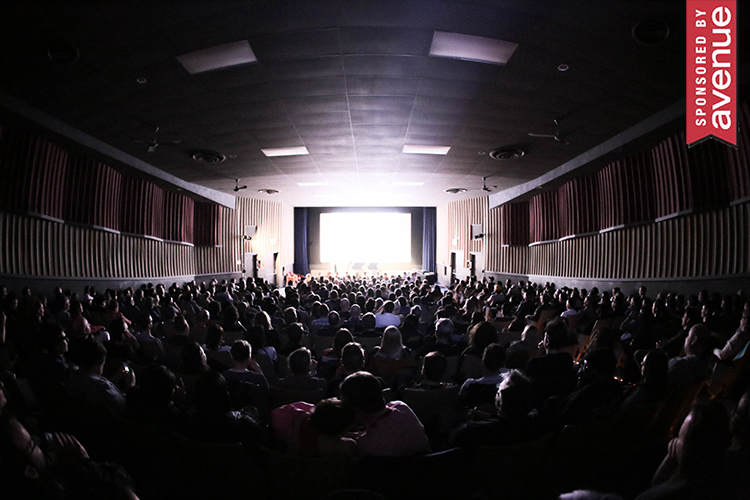 Photographs by Kait Kucy. 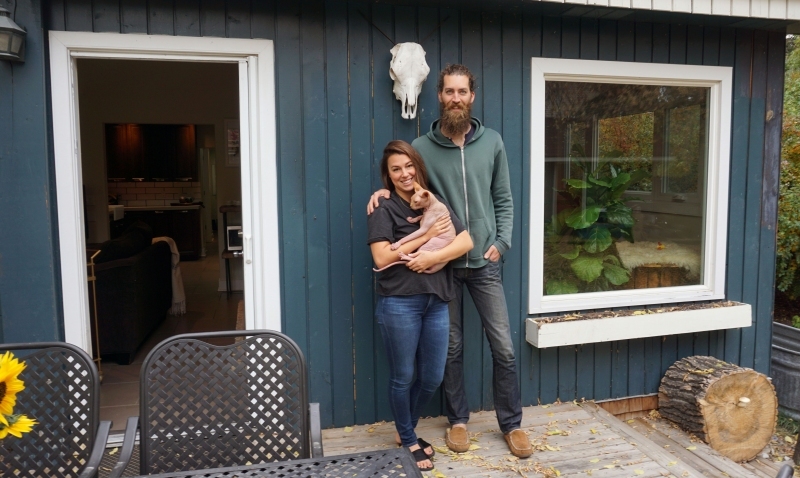 When Keightley Bertram and Myles Maxey moved into their adorable 1950s rental home in 2015, it had just been completely remodeled after the 2013 flood. With a few hints of the original mid-century charm still intact but some key upgrades like big windows and skylights, Bertram and Maxey have put their personal stamp on the place through the addition of handcrafted furniture, original artwork and a bit of Southern charm. 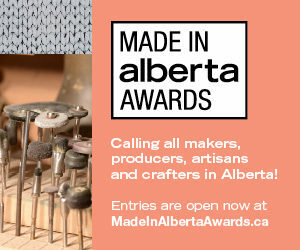 Bertram is the community coordinator for Lululemon Calgary as well as a manager at its 4th Street location and Maxey is the owner of Little Lion Man Leather, a custom leather-working business. 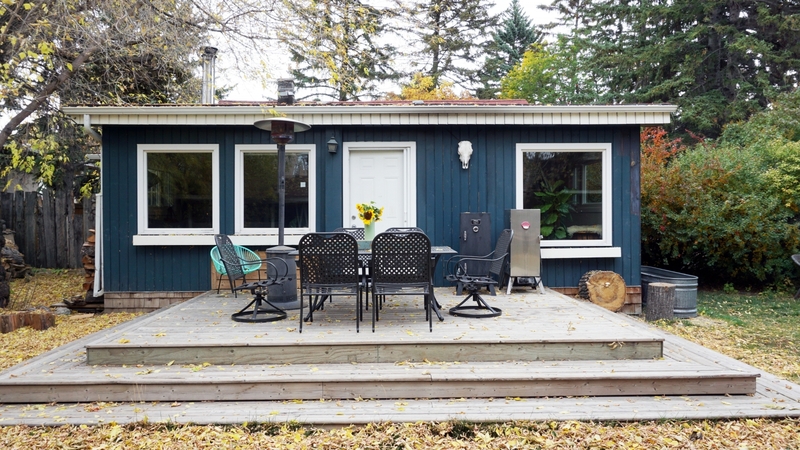 The two gravitated to Bowness after a friend suggested that they would enjoy living in the community. They immediately felt at home in the neighbourhood filled with interesting local businesses, people and community activities. 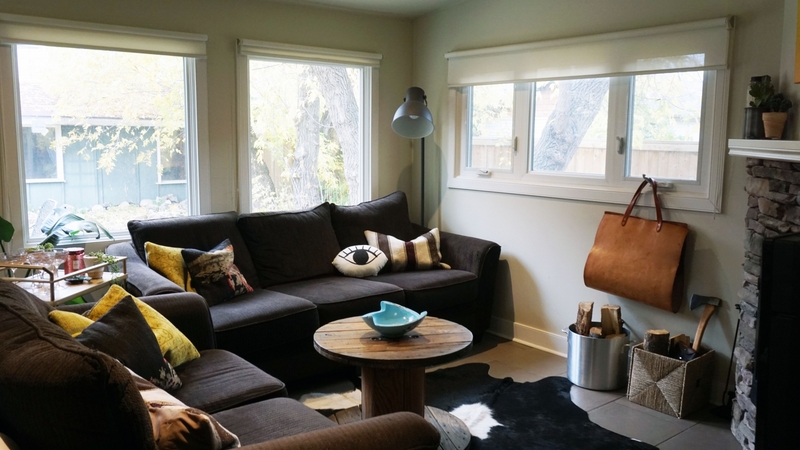 The cozy living room has plenty of furniture pieces and accessories that Myles designed for the space, including the coffee table and leather wood-carrying bag. 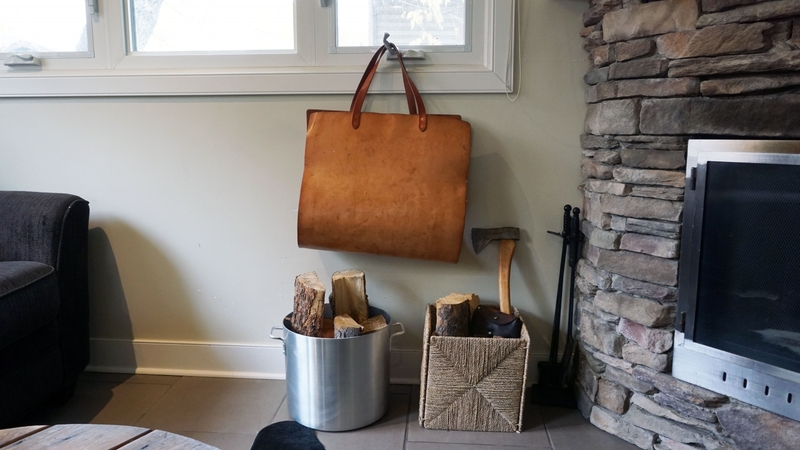 Myles created this beautiful wood carrying bag out of leather for their firewood. KB: “I have two treasured items. 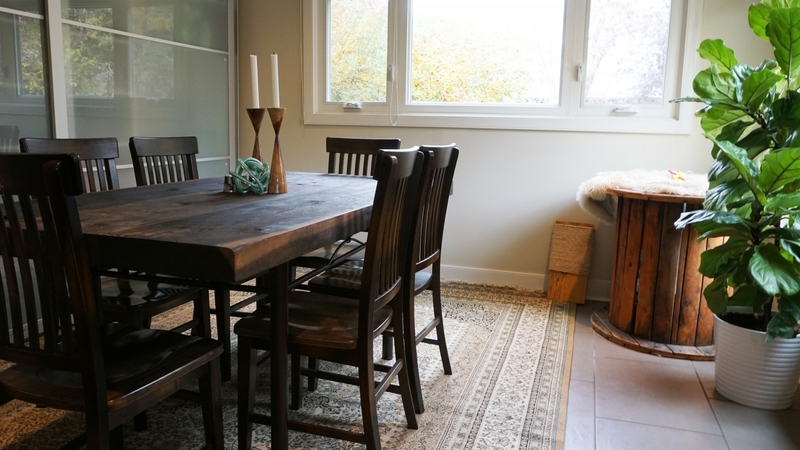 One is the handmade dining room table top that Myles made. I know how much time, energy and effort that went into making it. It is something that we can have as an heirloom piece that can be passed down through generations. When we’re having dinner and you spill something, Myles actually encourages you to not wipe it away and allow it to become part of the story is told through all of the meals that we share. The dining table is one of the couple’s most treasured items. The tabletop was a labour of love for Myles. Nothing like a cocktail while you tend to your plant collection. 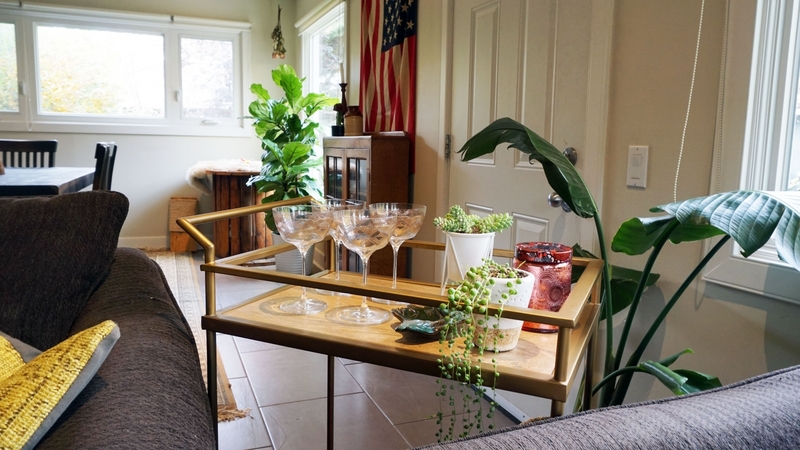 Keightley’s love of entertaining has her bar cart ready at a moment’s notice. The vintage American flag in the background is one of her favourite decor finds. She picked it up at a flea market in Los Angeles. 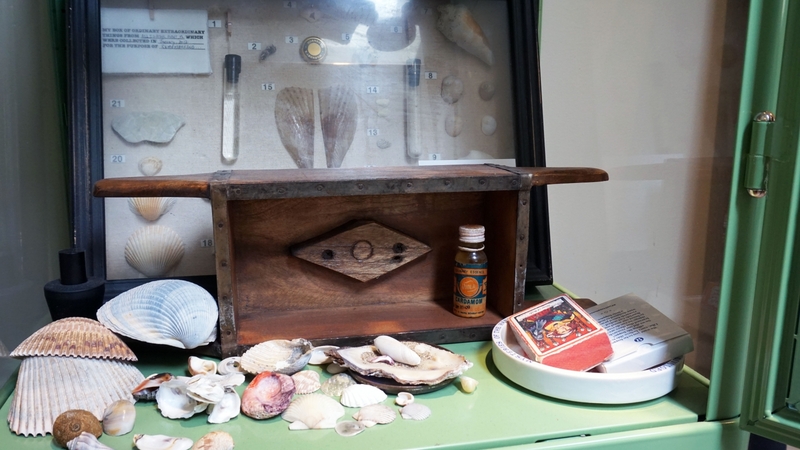 This couple likes to have a story behind their personal belongings. 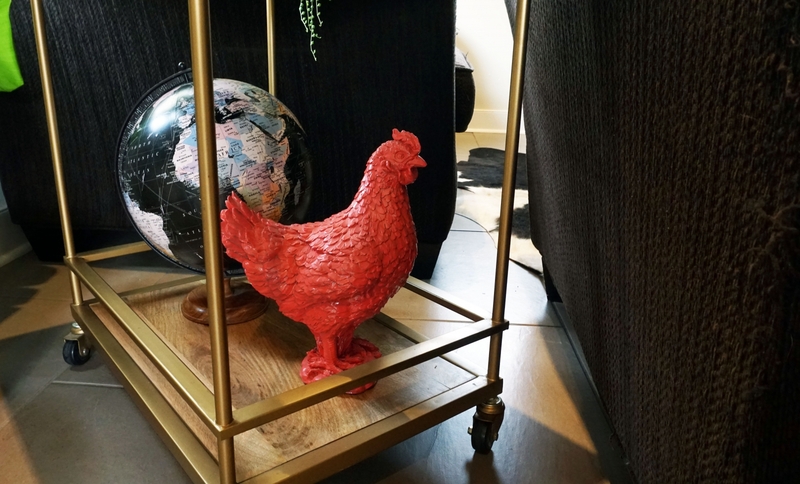 The story of this hot pink chicken is that Myles gifted it to Keightley at the beginning of their relationship as a placeholder for the real chickens she hopes to have one day. Amongst the treasures the couple has collected together, this antique wooden brick mold that Keightley’s grandma gifted Myles. Their bedroom is decorated with sentimental items including a painting by Keightley’s aunt above the nightstand. 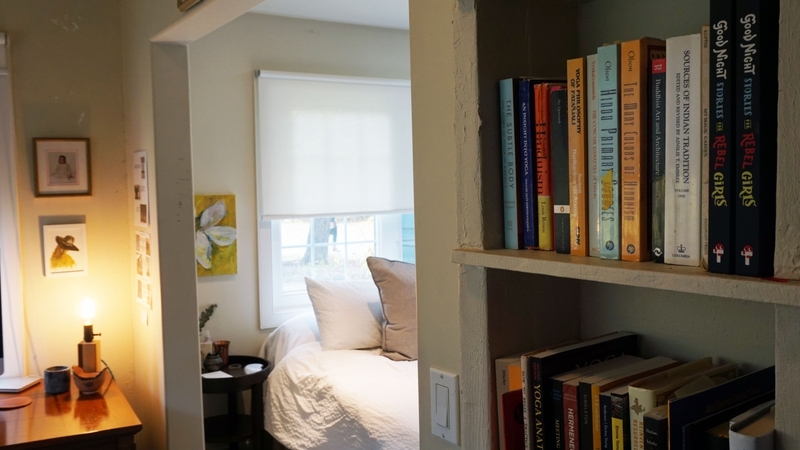 The couple transformed what they think was the original kitchen of the home into a cozy nook off their master bedroom complete with built-in bookshelves, closet and a home office set-up. 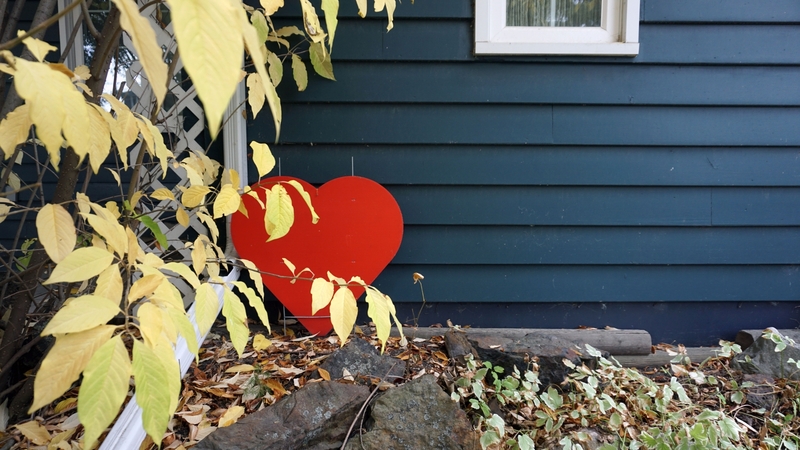 If you’ve driven through Bowness since the flood in 2013, you’ll have seen a lot of these simple red hearts in front of houses. They’ve become a lovely symbol of the community of Bowness. With his workshop studio in the backyard, Myles’s favourite view is looking at the house while he works.